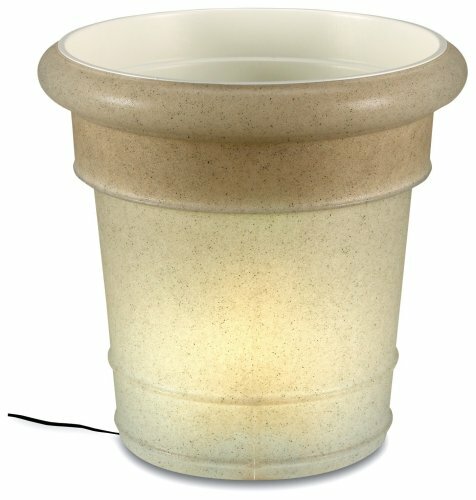 Design inspired by turn of the century gas flame lanterns, these portable electric weatherproof lantern style planter and patio lamps feature frosted bevel panels and all resin construction with molded in color. 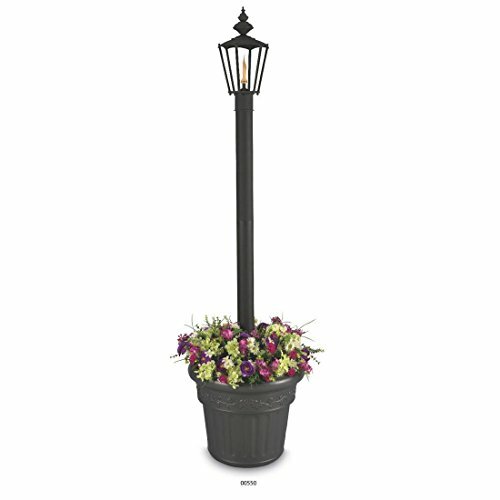 Large 13" square lantern has a two level dimming on/off switch and a 10 ft. cord and plug. Takes 1-100 watt med. 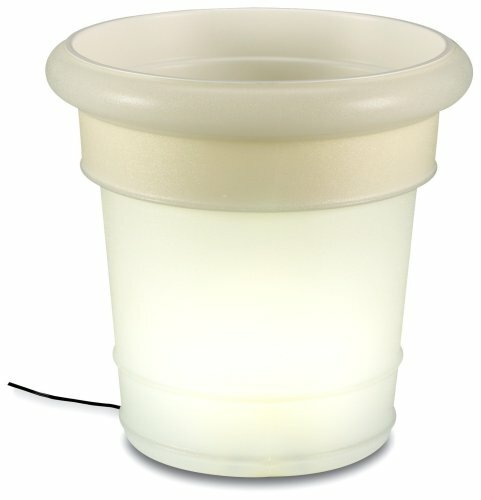 base bulb, max. 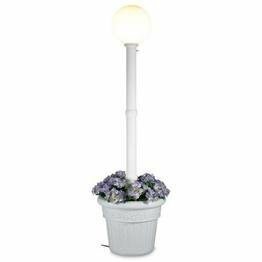 Large decorative planter made of high density polyethylene resin. 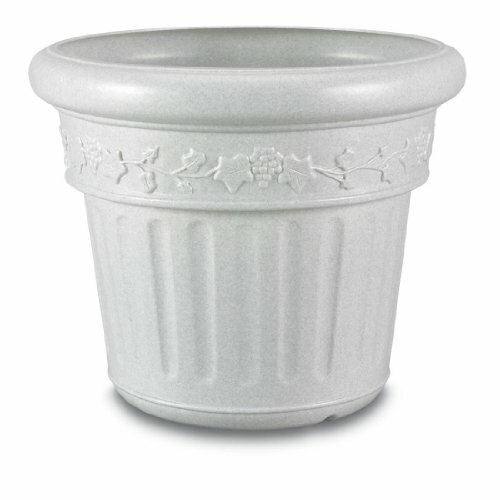 Won't chip or crack in cold weather. 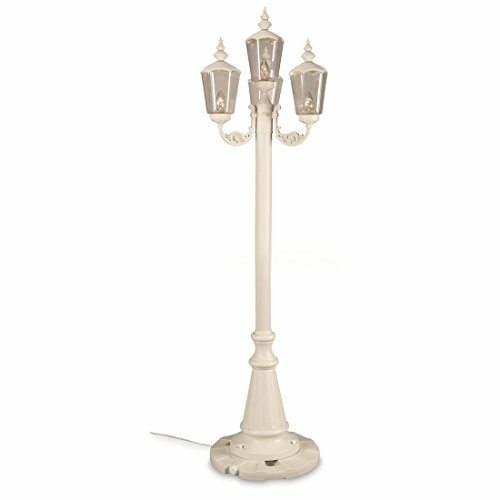 The charming style of these citronella flame lanterns is reminiscent of a turn-of-the-century gas street lamp with today's up-to-date efficiency and quality. 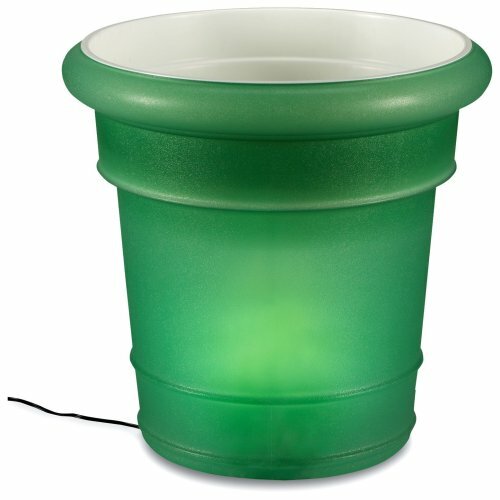 Easy fill containers use standard lamp oil or citronella liquid paraffin fuel to repel insects (16 oz. filling will last an entire evening, over 10 hours) and have lifetime fiberglass wicks.